Bottom Line: A nice mellow Canadian whisky with even flavors and texture. Canadian Whisky is made primarily from corn or wheat, with a supplement of rye, barley, or barley malt. There are no Canadian government requirements when it comes to the percentages of grains used in the mash bill. 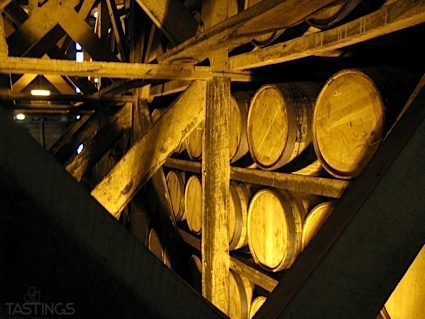 Unlike Bourbons, they are aged, primarily in used oak barrels. The minimum age for Canadian Whisky is three years, with most brands being aged four to six years. Virtually all Canadian whiskies (except the pot-distilled malt whiskies of Glenora in Nova Scotia) are blended from different grain whiskies of different ages. Bulk Canadian Whiskies are usually shipped in barrels to their destination country where they are bottled. These bulk whiskies are usually bottled at 40% ABV (80 proof) and are usually no more than four years old. "Bottled in Canada" whiskies generally have older components in their blends and are bottled at 43.4% ABV (86.8 proof). Canadian whiskies, as with their American cousins, originated on the farm. These early whiskies were made primarily from rye. In time most Canadian distillers turned to corn, wheat, and other grains, but Canadians continue to refer to their whisky as "Rye" even though the mash bill for most Canadian Whisky is now predominantly a mix of corn, wheat, and barley, with only a modest proportion of rye for flavor, which results in a lighter-bodied spirit. 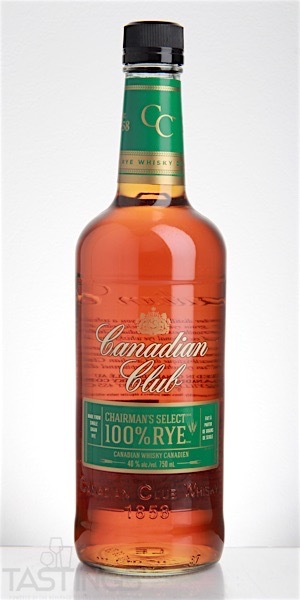 Canadian Club Chairman’s Select 100% Rye Canadian Whisky rating was calculated by tastings.com to be 87 points out of 100 on 9/27/2016. Please note that MSRP may have changed since the date of our review.